The Indian phonemaker, LAVA has silently unveiled the third smartphone under its XOLO Category, namely, the XOLO A800. The smartphone was scheduled to be released in December and yes, it is on time. It is now available via online dealers such as Flipkart and Snapdeal at a price of Rs.11,999. 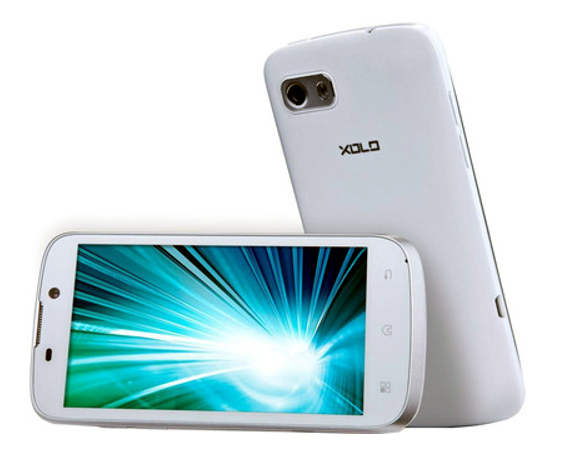 The XOLO A800 sports a 11.4-cm (4.5-inch) qHD IPS display and features the Android 4.0 Ice Cream Sandwich OS. It is powered by a 1 GHz dual-core processor bundled up with 512 MB of RAM. The smartphone comes equipped with a 8 MP rear camera and a 0.3 MP front shooter. The device has an onboard storage of 4 GB, which is expandable via microSD card. The device is loaded with a 1,600 mAh battery. Lava Xolo A800 will compete with the likes of Micromax, iBall, Spice, Intex and Zync. 0 Respones to "LAVA's XOLO A800 Available at Rs.11,999"